There's no feeling like the rush of flying through the air. 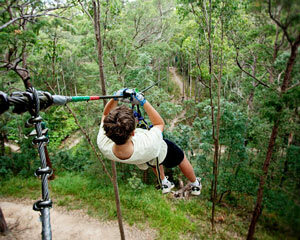 It's a feeling that's yours to experience on a Flying Fox tree top adventure! Zoom through the skies like a superhero and navigate the sky-high obstacles of a tree top challenge. 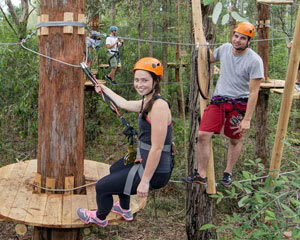 Best of all, you'll be cheered on by your family, mates or colleagues and surrounded by the lush greenery of the Australian bush. 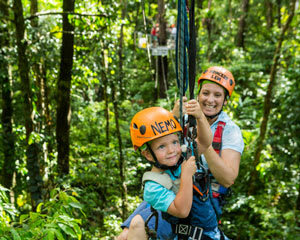 If you've got little ones, there's plenty of jungle adventure designed just for them. 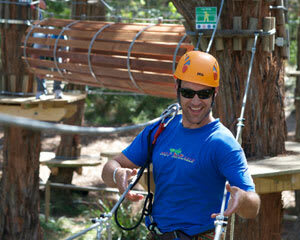 Many Treetop Adventure parks can welcome children ages 3-9 with tyke-sized courses of varying thrill levels. They'll be safely harnessed in while you watch from the ground! 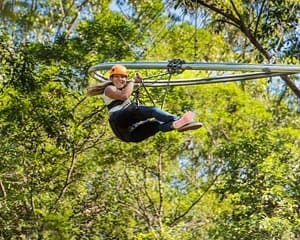 A day of jungle surfing makes an ideal family activity—some flying fox experiences even harness you in with a younger adventurer as you take off down the line. 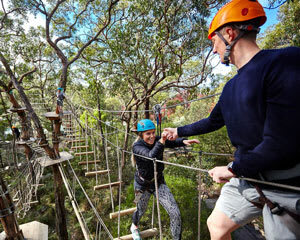 Zip down the cables of Otway Fly Treetop Adventures and enjoy a stroll along the Otway Treetop Walk—with a family pass, you and yours will feel like the Swiss Family Robinson! 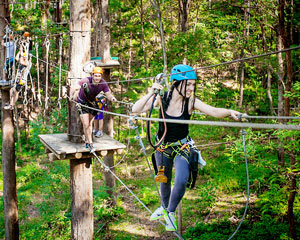 A day of treetop adventure is the ideal combination of adrenaline-spiking excitement and breathtaking scenery, all while leaving a small ecological footprint. 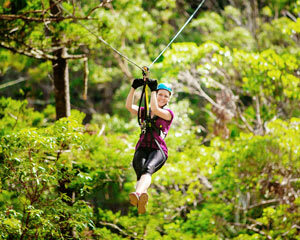 Experience the unbridled joy of zooming through the jungle by flying fox on a tree surfing adventure!